GridCast: live and behind the scenes of grid computing: Planes, trains and automobiles – how did you get home from Sweden? Planes, trains and automobiles – how did you get home from Sweden? For many of us the EGEE 5th User Forum in Uppsala will live long in the memory. The excellent food, stunning conference venue, Linneaus’s dry wit and the faultless organisation made it a particularly bright star in what has been a glowing galaxy of EGEE events over the years. For some of us though, there will be other reasons why Uppsala will take a while to fade – all thanks to a certain volcano in Iceland. As the ash clouds rolled over Europe and airspace progressively clamped shut, many of us were faced with some tough decisions – sit it out and wait, or try to get home by other means, fair or (often!) foul. The corridors back at EGEE HQ have been buzzing with our own stories of travel epics as weary colleagues have gradually trailed back into the office – we’ve also heard some tales from others of you on the road and we’d like to hear more. How did you get home? Are you still en route? Who had the longest trip back or were you one of the lucky few who jetted out just as the ash blasted in? For five of us from the Project Office, Sunday morning in Stockholm dawned clear, still without a plane in the sky, so we decided to launch ourselves into the uncertainties of the public transport system. After struggling with ticket offices and online booking systems stretched to breaking point, we emerged slightly tussled but clutching bus and train tickets as far as Geneva. After what felt like a last supper in the Viking hotel, and fortified by a glass or two of the aptly named ‘Railroad Red’, we all piled on to overnight coaches at Stockholm station, wincing slightly as the doors squealed shut on us for the next 8 hours. 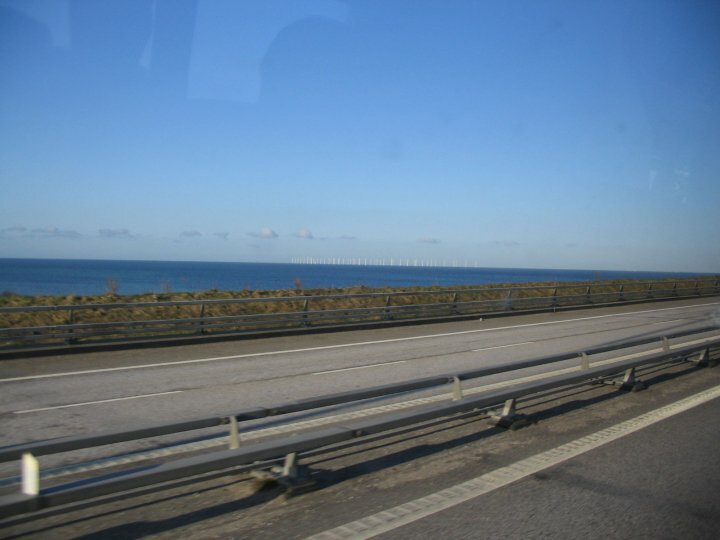 Dawn saw us crossing the Oresund bridge towards Copenhagen, glad that the end of the first leg was in sight after a back-breaking journey, peppered with 3am conversations about guinea pigs and unsuspected pregnancies with slightly eccentric co-passengers. Copenhagen station was awash with anxious travellers – coffee was available but of dubious quality, and trying to avoid being charged to hastily brush your teeth when you had nothing but Swedish krona in your pocket was an added hazard. We crammed onto the platform with other ex-User Forum refugees to fight our way onto the train –sadly the first class tickets that had been the last ones available were not enough to get us a seat, or at least not more than one between the five of us. To say that the train was ‘standing room only’ would have been over generous – there was barely room even for that. After four and half hours, with a very welcome break during the ferry crossing to stretch our legs and remind our lungs what fresh air felt like, the train eased into Hamburg station. The next challenge after many hours of inactivity – to cross several platforms at a dead run, complete with baggage, to where the next train down to Basel was impatiently waiting for us. Train caught, we relaxed into the luxury of actual seats to ourselves and watched the sunny German countryside slide past for the next six or more hours. With a sense of reaching the home straight, at nearly 9pm, the train approached Basel. Or so we thought. In fact Basel has two stations, only one of which allows a connection to Bern. We got off at the wrong one. With six minutes to spare, we leapt into taxis to try and make the connection (avoiding the temptation to yell ‘Follow that car!” in best filmic tradition). Another luggage-laden dash down the platform followed, just in time to watch the 21.03 slide out of the station with only two out of our party of five on board. Disappointed! Another tedious wait for a train to Bern, a thankfully easy transfer to the Geneva train and we were finally rattling our way to Cornavin, at well past midnight and 26 or more hours into our journey. Trailing back to our cars, we said goodbye to our travelling companions of the last day and a half and agreed that it might be a while before we ventured back to Uppsala again! As we travelled, we had heartfelt sympathy with everyone else on the road, trying to get back to the UK, Thailand, South Africa, the US, Israel and other far flung places. We'd love to hear more about your own tales of travel and derring do on the road from Sweden - small prize available for the best travelogue or most complicated route!